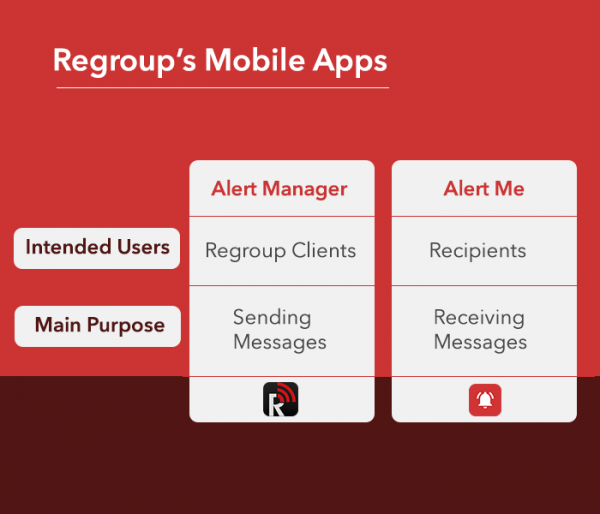 In addition to providing a world-class web platform, Regroup offers two mobile applications that make it easier for administrators and recipients alike to send and receive messages from wherever they are – ensuring people can get important safety messages even when they’re on the go. 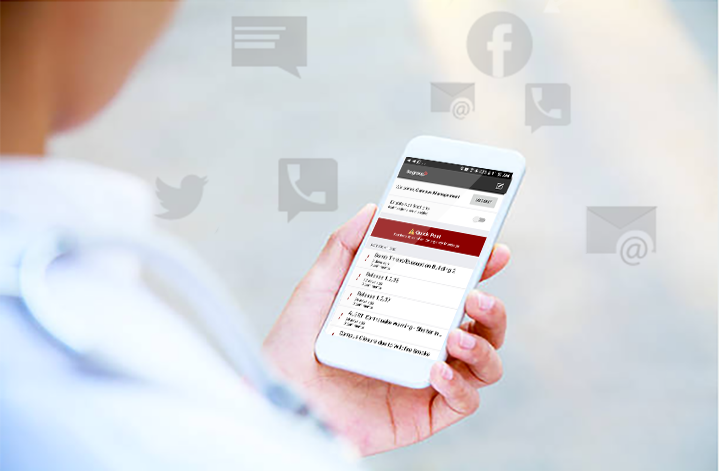 AlertManager empowers admins, staff, and other group leaders to easily and quickly access the full power of Regroup Mass Notification from the palm of their hand using any iOS or Android smartphone. Alert from Anywhere: Quickly reach any recipient or group from wherever you are by sending messages to mobile phones, landlines, email, social media, and more. Two-Tap Emergency Notifications: When seconds count, pre-programmed QuickPost Templates help you get information out fast with only two-taps in the app. Two-Way Messaging: Replies from recipients can be seen in real-time in the AlertManager app so admins have immediate access to information and can take action fast. 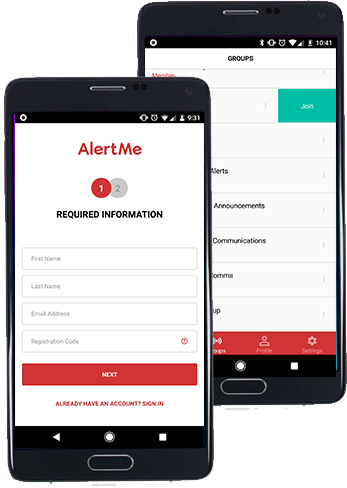 AlertMe allows your audience—everyone from employees, students, customers, and other recipients—to personalize their notification settings and receive messages in the palm of their hand, maximizing the effectiveness of your organization’s mass communication capabilities. Increased Deliverability & Reliability: Push notifications delivered to AlertMe put important updates directly in front of recipients, even when cell-towers are down or inoperative. GeoFencing Made Possible: When location matters, notify people in specific areas when they have the AlertMe app installed. Keep people from entering a danger zone or inform them before they leave an area to keep them safe. TipSafe Reporting: Enable your audience to safely report suspicious behavior, potential threats, and other safety concerns from the AlertMe app. Critical Two-Way Communications: When you need information back from your audience, AlertMe allows them to respond and send important information and updates. Empower Your Audience: Make it easy for recipients to sign up and customize their notification preferences, and view the latest posts sent by administrators at any time. Ready to see what Regroup can do for your your organization? Book a 30-minute demo today!